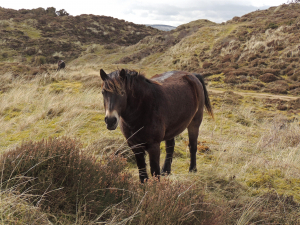 Observation - 'Exmoor' Pony at Murlough NNR - UK and Ireland. Description: Grassland management at Murlough NNR. Grassland management at Murlough NNR.